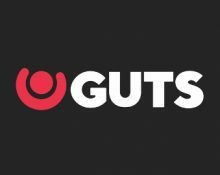 Last chance to win tech gadgets and up to €5,000 in cash! 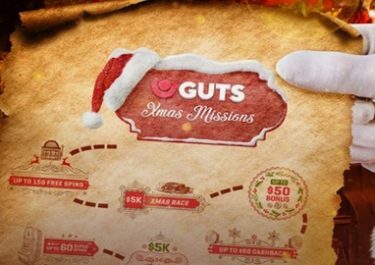 Do not miss the final part of this awesome 2-tiered campaign at Guts Casino. Play your a selection of Play’n GO slots to earn points towards the leader board or play any game to collect tickets to the prizes draw. The TOP105 from the racewill share the €30,000 cash prize pool and Mega Spins on Raging Rex. But that’s not all as tech gadgets and more cash, worth a total of €20,000 will be going to 23 lucky winners. Start spinning! 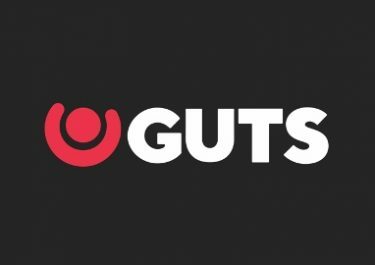 All Guts players, excluding those from Sweden, get your racing gear ready and compete in the January 2019 Leader Board race at Guts Casino for the chance to dash for a share of €30,000 in cash. Plus, you will earn tickets to three prize draws to win tech gadgets and more cash. Terms and conditions apply. Simply play on any slot in the casino or score winning combinations on selected slots to earn points and race onto the leader board. Place in the TOP105 to be a winner. OPT-IN on the promotion is imperative to take part in the race. The leader board will be updated once in two days, except weekends. A final leader board will be published on 4th February 2019 on the race page. All prizes will be added within 24 hours after the race has ended. Cash prizes and winnings from Mega Spins are credited with no wagering requirement. Race Prizes: The TOP105 scoring players at 23:59 CET on 3rd February 2019 will share the cash prize pool and Mega Spins: 1st – €5,000 | 2nd & 3rd – €2,500 | 4th to 7th – €1,000 | 8th to 13th – €750 | 14th & 23rd – €500 | 25th to 37th – €250 | 38th to 53rd– €100 | 54th to 69th – €50 | 70th to 85th – €25 | 86th to 105th – 10 Mega Spins on Raging Rex, worth €1.00 each. All players can earn unlimited tickets to weekly prizes draw for tech gadgets and more cash, worth a total of €20,000 for the entire campaign. Tickets are not carried over and need to be earned every qualifying period. Deposit and wager €25 on any slot in any of the qualifying periods to get one prize draw ticket. Wager a further €25 more on any slot in the same qualifying period to get 5 more tickets. 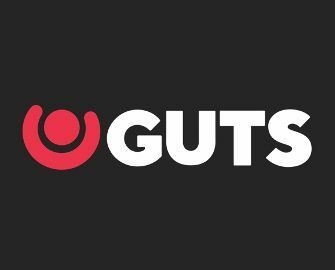 There are unlimited tickets a player can claim. 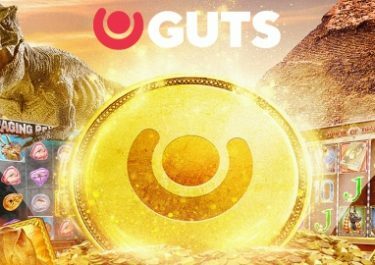 Every Friday, until 1st February 2019, Guts Casino will draw 23 winning tickets and allocate the prizes in order they are drawn. Winners will be notified via email and inbox message. There is not cash alternative for physical prizes. Cash prizes will be credited within 24 hours after each draw. Weekly Prizes: 1x Apple iPhone Xs 256GB | 1x Samsung Galaxy S9+ 128GB | 1x Apple Macbook Air | 3x €1,00 cash | 5x €250 cash | 12x €50 cash.